Discover more about AMX Design. 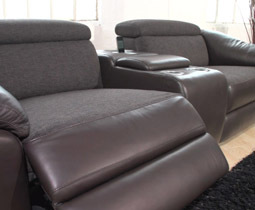 AMX Design was founded in 2001 in response to the growing popularity of leather furniture in the UK. 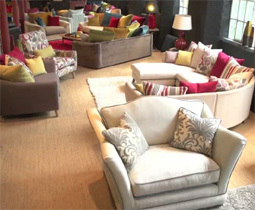 Initially part of top British furniture manufacturer Ashley Manor, AMX Design became an independent business in 2004. We share Ashley Manor’s mission to deliver superior sofas and chairs through a design-led approach which focuses on staying at the forefront of new market trends. 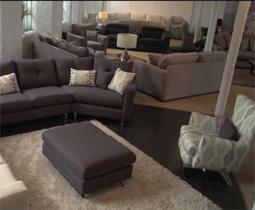 AMX Design has cemented a high reputation for our inspired and individual leather and fabric mix furniture, but we also offer a full leather-only range in a wide variety of types and grades. Using high quality factories across the globe, AMX has the flexibility and scalability to increase production on demand whilst maintaining the highest standards of customer service and value for money. AMX opened a UK office and two large showrooms at Harrington Mill in Long Eaton, Nottinghamshire in 2006. All our latest product ranges are housed in Harrington Mill which is open by appointment to retail customers throughout the year and also hosts Spring and Autumn ‘At Home’ shows. AMX Design is a member of ACID (Anti Copying in Design).